ALGOMA COUNTRY,That Big, That Scenic, That Remote, That Calm. Algoma Country of Northern Ontario Canada is home to astounding wildlife and fishing & hunting opportunities that will simply knock your socks off! The INA Store, in Tustin , MI features several lines of tractors, including Kubota & Case IH. tried-and-true or innovative and new, they strive to bring you the very best selection and service to meet your needs and price point! MADS looks forward to working with you! NOW WITH LOCATIONS IN HARRISON & CADILLAC, MI! Wilderness Custom Hunting Blinds, the most comfortable, longest lasting, most user friendly, custom built blinds available today! All Aluminum, panoramic view window systems & amazing ground-up background matching 3d camo! Point North RV knows that a better RV experience starts with a great price. They're driven to give you the best price with a no-pressure sales approach, to make sure you're 100% satisfied with your purchase. Their knowledgeable and friendly staff will do what it takes to help you live your dream! 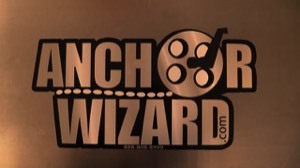 Anchor Wizard anchoring systems are The Anchoring Solution for any boat. Stop Yanking & Start Cranking! Whether you’re a professional fishing guide or a weekend angler, Anchor Wizard products are built to last and designed to take all the work out of anchoring. Hopkins Trophy Whitetail Ranch, were every day is opening day! With 850 acres of prime northern Michigan whitetail habitat & a 40 acre sport fishing lake, you can realize your rifle, archery & muzzle loading dreams, even if you dream big! 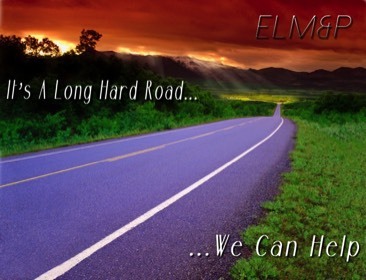 E.L. Marketing & Promotions, Helping your business with everything from logo design to website creation to social media maintenance. From small seminars to full trade shows, you can count on ELM&P to plan and execute your vision with their trademark enthusiasm & attention to detail. BIG RAPIDS TIRE Is a pillar of the Big Rapids, MI community offering name brand tires, wheels, auto repair and brake service for customers located in and around the big rapids area.